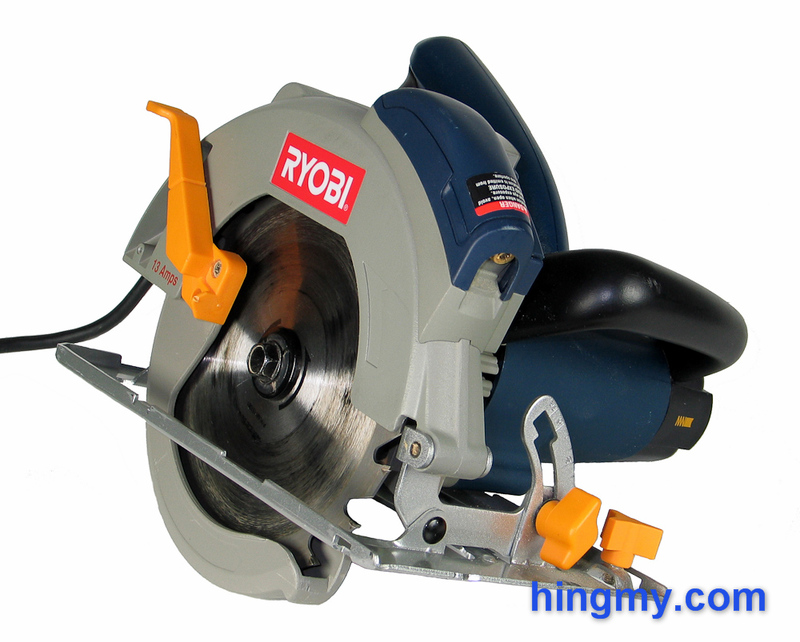 One of the most popular entry level saws on the market today is the Ryobi CSB132L. This saw is available almost anywhere. You can pick one up at the big box stores for very little money. So little money in fact, that the CSB132L looks like a deal too good to be true. 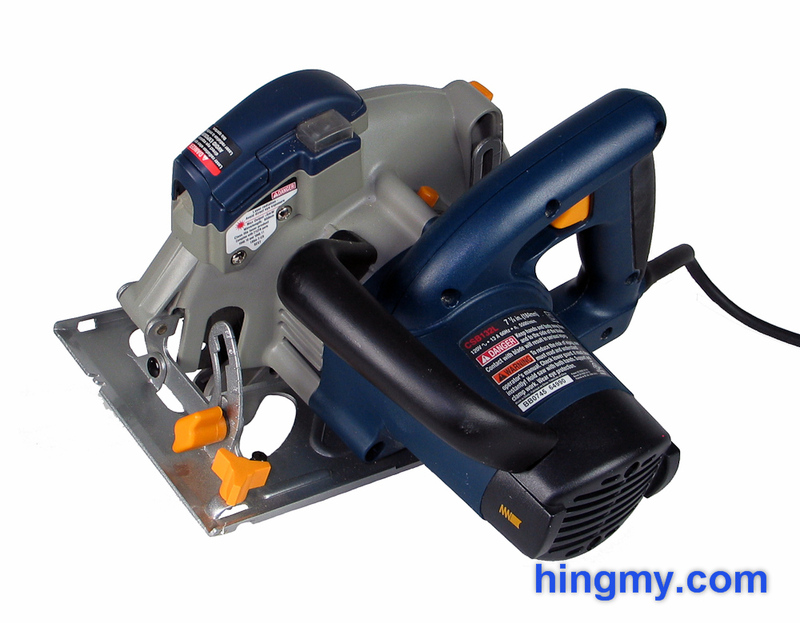 We know the Ryobi CSB132L is a cheap saw, but can it produce a cut?. Let's take a look. The body of the CSB132L is made from hard plastic. The plastic is hard wearing, thick, and tough. 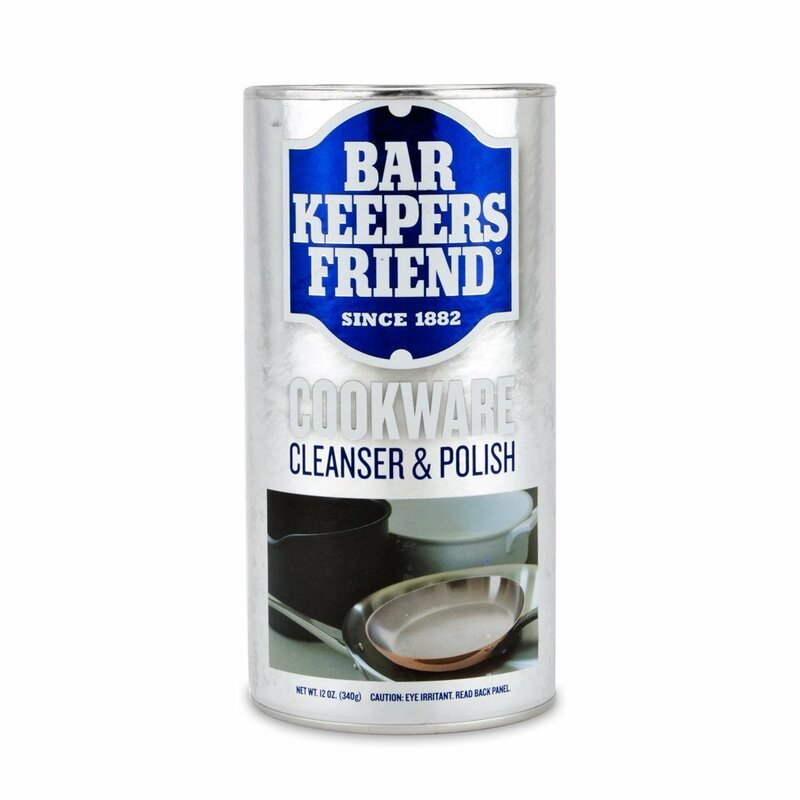 Holding the tools in your hands leaves a good impression. There are not squeaks, rattles, or moving parts anywhere. The motor adds a good amount of weight. Ryobi did achieve the lower price point by trimming away material. The base plate of the saw is made from a single piece of stamped metal. It is reinforced with ridges in several locations. The front has two blade notches for both 90 and 45 degree cuts. The side has a distance scale for stop-cuts. 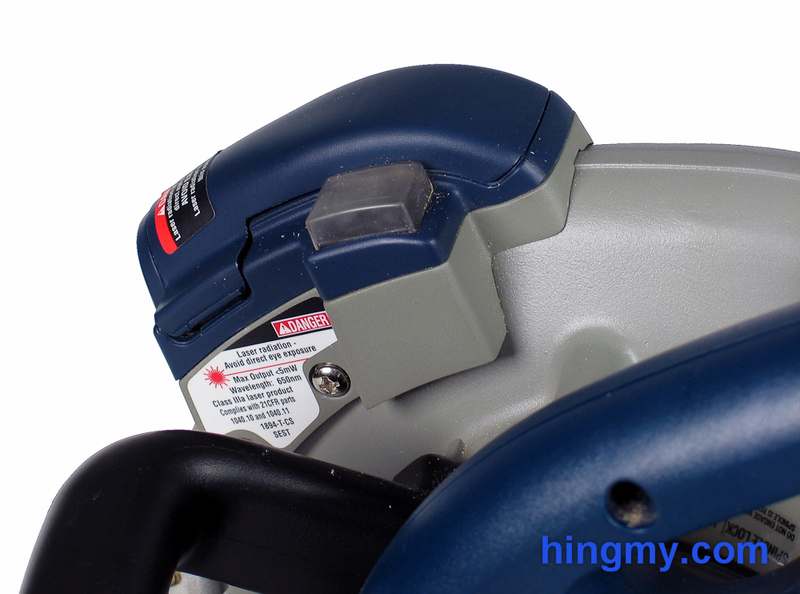 The plate and mounting mechanism on the CSB132L is not as sturdy as it is on other saws. Out of the box the base is perfectly aligned. The angle and depth adjustment works properly. If the saw is handled with care, the plate will work properly year in, year out. If the saw is handled roughly, however, it does not take much for one or more of the mechanisms to get bent or go out of alignment. This is not a saw you throw into your truck without a case. 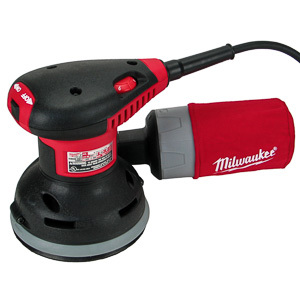 All together, the CSB132L is a bit too fragile for use on a job site. 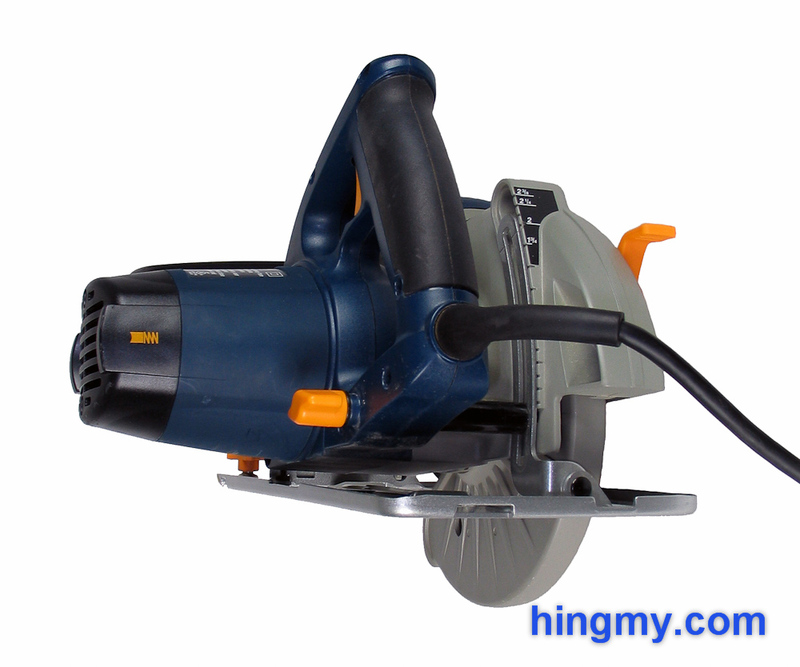 In the home environment however, the saw can be made to perform for years. Blade changes on the Ryobi CSB132L are done the traditional way with a spindle lock and a blade wrench. One hand engages the spindle lock, while the other removes the blade. Surprisingly the saw has two washers between the blade bolt and the face of the blade. Most saws use only a single washer in that location. The extra washer slows down blade changes by a few seconds. More importantly, it's another part that can be lost or could break. All told blade changes on the Ryobi CSB132L are plenty fast enough. 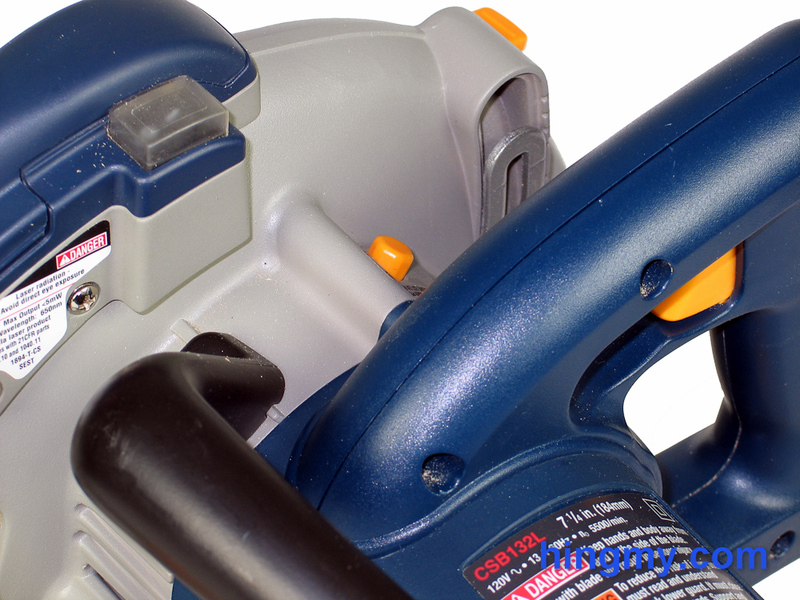 If blade changes on the Ryobi are slower than the competition's, they will be slower by only a few seconds. The depth adjustment knob on the Ryobi is near the handle of the saw. A knob loosens a screw that hold the base plate in place. After setting the blade depth the knob locks the plate in place again. A depth scale is built into the rear of the blade guard just like it is on many other saws. The scale is accurate, but should not be relied on beyond 1/16" of accuracy. The mechanism works as intended. Once set, the saw will remain set under normal handling conditions. Releasing the knob requires some force, but can be done quickly. The durability of the knob itself is somewhat questionable. It works flawlessly on the test model, which is not very old. I have no doubt that the knob will perform for many thousands of operations. How long it will hold up on a job site is different matter. The angle adjustment uses the same style knob used on the depth adjustment feature. A knob loosens a screw that connects the saw to the base plate. A adjustment screw sets the scale at 0 degrees. I was able to perfectly align the saw with very little trouble. Once set, the scale remains set until the user wants to change it again. The 45 degree stop is accurate to within a degree. The set screw catches a lip on the scale and locks the saw at 45. The 51.5 degree stop is the end of the scale. Setting the saw to anything but the predefined stops is arduous. The knob does not have a defined edge/center that lines up with the scale. Any attempt to set the blade accurately will be off by several degrees. The best way to set the saw to an arbitrary angle is to measure the angle at the blade. Once set, the saw maintains its alignment throughout the cut. The knob can be tightened to allow no play in any of the parts of the saw. The CSB132L angle adjustment mechanism is clearly not the best available. 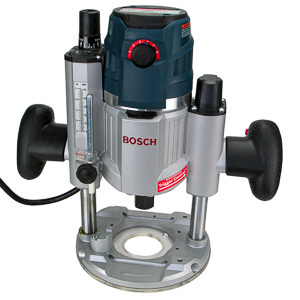 If you are willing to spend only a few seconds more, the saw can be set to any angle reliably and repeatedly. The CSB132L is equipped with laser guide. The laser projects a line off to one side of the saw blade. This feature makes free hand cuts more accurate. The laser cannot, however, be used to make perfect cuts. The laser is located on top of the saw's blade housing. 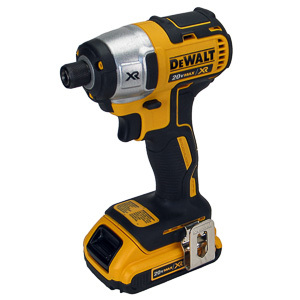 It has its own power switch independent from the tool's trigger. Power is supplied by two small batteries located in the laser's housing. The laser's alignment can be changed with a screw located near the lens of the laser. Should the laser arrive from the factory misaligned, it can be realigned in just a few minutes. In operation the laser performs adequately. It is accurately enough to make the sort of cuts a laser can be used for. The line projected by the tool is bright, but fades significantly in direct sunlight. This is an issue with all lasers, not just Ryobi's implementation. Ryobi has installed a powerful motor in the CSB132L. The saw is powerful enough to complete any cut demanded of it. Feed rates will be considerably slower than those of larger saws, but the saw gets it done in the end. All test cuts made in plywood were of acceptable quality. With a straight edge the saw produces a perfectly straight and square. The blade tracks properly, and the base plate does not flex. Bevel cuts at 45 degrees were equally accurate. The duty cycle of the CSB132L is high enough for light panel processing. The saw will make infrequent cuts followed by a few minutes of cool down. Under heavy load the motor gets noticeably hot. At max cutting depth the motor housing is only 1/2" above the work piece. This leave no room for a straight edge. Limiting the saw's cutting depth moves the motor up leaving more room for a guide fence. Most circular saws have this limitation. The CSB132L's motor, however, is lower than most. Adjusting the cutting depth to allow for a 3/4" thick fence leaves enough depth to cut through plywood. A 2x4 can only be cut with the fence located on the blade side. 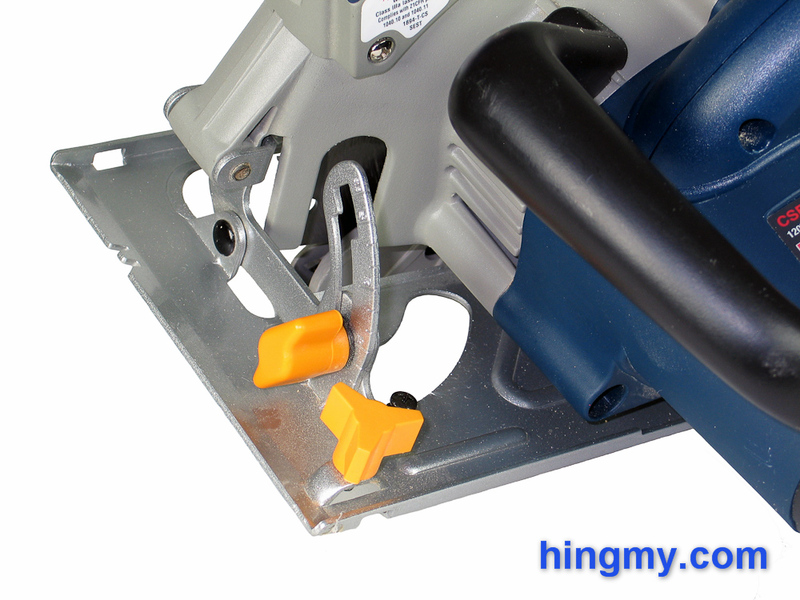 The lower blade guard retracts on its own when cutting plywood. It does not interfere with the user during a cut. The guard's control arm can only be reached with the front hand when it is in the wide open position. The trigger hand is too far away. 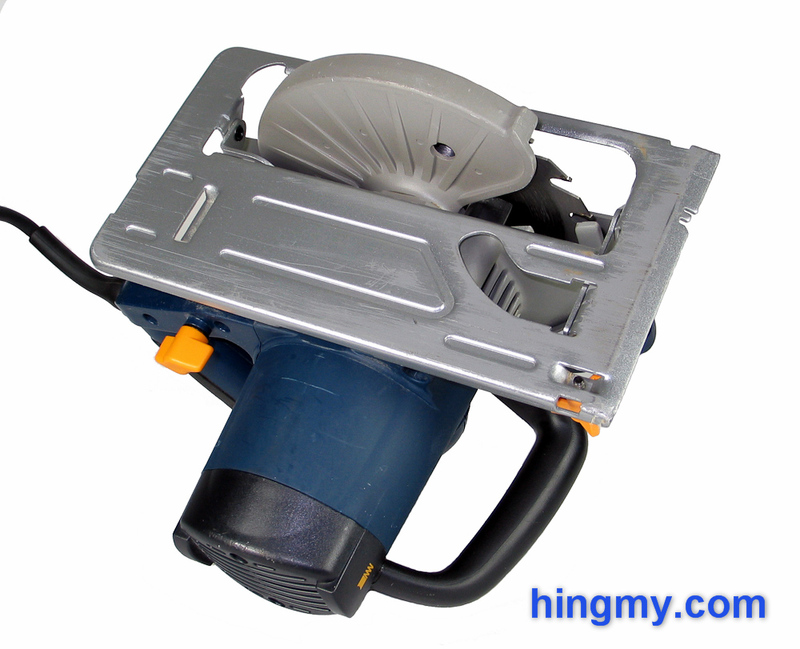 The dust collection mechanism of the Ryobi is a generic design found on many other saws. Most of the dust is ejected the end of the blade house point away from the saw. Most of the dust makes its way to this port. The newer model, the CSB133L, has an optional dust port attachment that can be fitted on the blade guard. 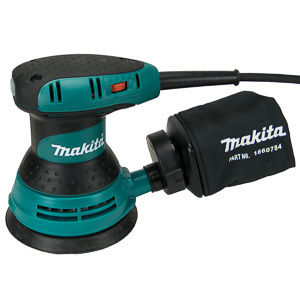 This allows the saw to be connected to a shop vac using a small diameter hose. 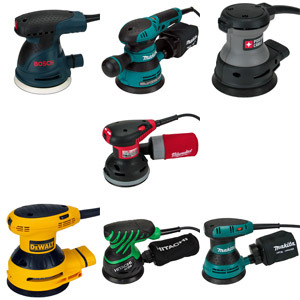 The port will greatly reduce dust levels, but will not work as well as that of a track saw. 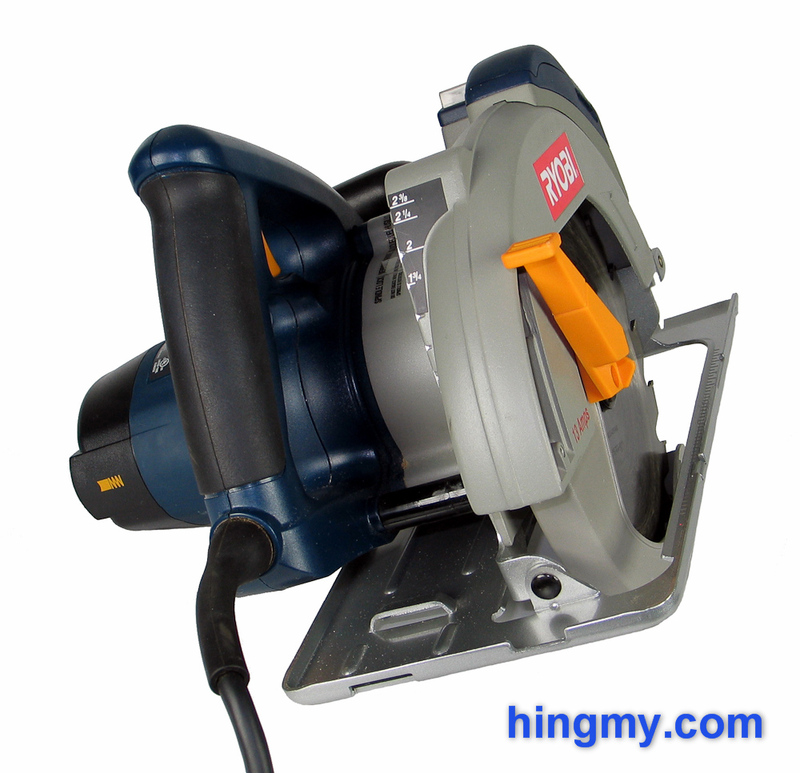 The saw does not enclose the blade near the cut to trap all of the dust produced. The new version of the CSB132L, the CSB133L, has received a few minor upgrades. The most eye-catching change is the new bodywork of the saw. Where the CSB132L was smooth the CSB133L has jagged edges and corner. All this makes the saw look more aggressive. Below it all, however, the new design is just visual. 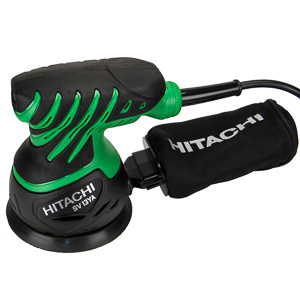 A new "Live-tool" LED light built into the grip illuminates when the tool is receiving power. This is a handy safety feature for non-professionals who have not necessarily received safety training. The basic components remain the same. The motor, base plate, and adjustment mechanisms are unchanged. All this makes the new saw cut and feel like its predecessor. 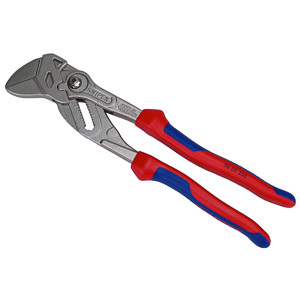 The features and durability of the CSB132L is just not there to consider it a professional tool. Ryobi has chosen to sacrifice features to achieve a lower price. The new balance that is the CSB132L cuts slower, needs more care, and wears faster, but still produces a perfect cut. If you are willing to spend some extra time, you have a saw that can produce the same quality of cut the pro saws can. 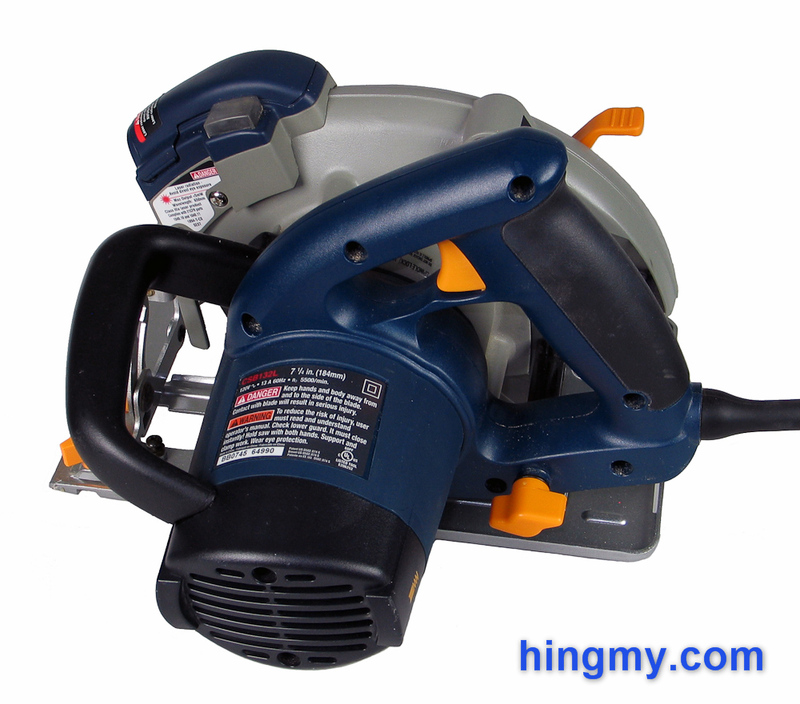 Considering how cheap the Ryobi CSB132L is, it can be consider a really good deal. If you are looking for a saw that you will use only a few times a year, the Ryobi will serve you well.